I made a trip to Nepal and spend around 2 weeks within Everest Region (Everest Base Camp, or EBC), for trekking. I really have some interesting interactions with my guide and other guides along the trekking journey. 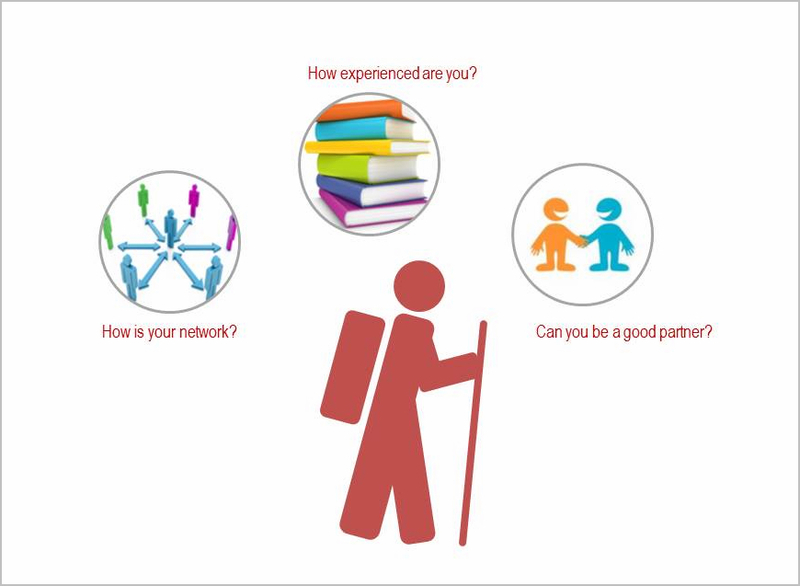 Trekking guide is complex business and the job of guide as a profession is a little bit out of my expectation. Therefore, writing something to look at the local guiding business as an outsider may help release my complex feeling. Firstly, you do not have to hire a guide. Majority of EBC trekking routes are clear and safe enough and the commercial environment there can provide you decent accommodation. I did meet some people who managed to complete their hiking without hiring any guide. Of course, there are also cases with extreme weather conditions making hiking more dangerous, without a local guide; but it is very rare and only for high-risky routes which majority of trekkers would not touch. Here, we only talk about trekking to normal routes of EBC. Then, what is the value of a guide to the customer? Well, 3 things in my view – experience, network, and partnering. Experience is not only about the fact that he knows which direction to go, where to stay, how difficult and how beautiful every route is, how long every route roughly takes, as I shared, it’s a mature commercial environment; therefore, there are standard schedules and routes available which is sort of best practice; experience is more about guiding the journey based on the interaction and observation with the customers themselves. The former can be easy to get (we can even google it); but the latter needs time, wisdom and courage. Network is mainly about accommodation. A good guide has good network at Sherpa villages; you can just enjoy your trekking, with him helping you make a booking simply with a SMS or call before you reach the destination. Trust me, some lodges are very lousy; when the mountain season is coming, money may not work that well. Not all the guides are local Sherpa, so they have to work harder to build the network. Your guide is walking with you along the journey. A good guide can really be a good partner there to tell you name of the peaks, introduce local food/culture, push you and encourage you; and what’s more important, a good guide can understand what you really want and help you get it, like trekking experience and accommodation, which help you feel excited and secured. You can join a big trekking group (10-20 people) via a trekking agent, which normally has fixed schedule, route, pre-booked lodge and other accommodation as well as 2-3 guides. If you are an independent trekker, at the starting point of EBC trekking, outside of the mini airport, many guides are waiting for you. The last one is to get recommendation from websites or friends. We have talked about the value delivered by a guide to his customers – experience, network and partnering; when we rank guide’s professional skills, we have to add another one – communication skill which is an absolute decision-maker. For communication, language is the most important aspect but we know communication is more than just speaking and listening. Advanced-level guides are normally working for large trekking group via agent. They are more fluent in verbal communication and experienced in dealing with trekkers. A large group normally has fixed everything and booked everything in advance; life, actually, is less complex for those guides. The medium-level guides are waiting for you at Lukla airport. They can communicate even if it’s not very smooth and they have certain experience so that they can bargain with the customers face-to-face; and normally, they are more flexible for payment, for example, they are normally OK to carry weight if you pay more. It’s not easy for the junior guides to win customers by a quick talk because of their language barrier and limited experience. So, they have to work for an agent and leave part of guiding fee to the greedy agents. Because their experience is limited and communicate could be a challenge, they can just use route from the best practice. Therefore, what kind of guide you need is depending on what experience you seek. Do you like fixed schedule of large group free of worry about accommodation? Or do you enjoy flexible schedule, route and payment package if you are OK to take the risk of face-to-face bargain? Or do you prefer to rely on the agent to go for a standard route? Normally, your guide will eat and stay at the same lodge or hotel you have stayed and they do not have to pay for it; in another word, his expense is out of your pocket. Therefore, guides of large group stay at better places and may eat better. Besides, guides are supposed to help the lodge for ordering food and making payment; otherwise, the lodge owner will get mad at you if you just keep him busy by asking questions. On average, a guide makes 10-20 USD per day. Normally, tips are expected which is around 2-4 USD per day. The business model for advanced-level guides and junior guides are simpler. They got paid by the agent. The model for mid-level guides is more flexible. They can get paid by day as guiding fee; or they get both the money for guide and porters and they arrange the porters; or they can also have a package with customer, like 50USD per day per customer including guiding, porters, food, and lodge. The packed solution is not a bad offer; the lodge per person is normally 2-5 USD per day, 1 meal is around 5-8 USD, so for every customer, the income is 20-30 USD per day, more than the average income of guides.